A personal injury claim may arise when you are injured by the negligence or intentional act of another. Examples include slip and fall cases, auto accidents, accidents at construction sites, pedestrian/bicycle accidents, work related accidents, medical malpractice, product liability, nursing home liability, animal attacks, and other injuries due to negligence. At this law firm, we are dedicated to helping injured people receive the compensation they deserve. 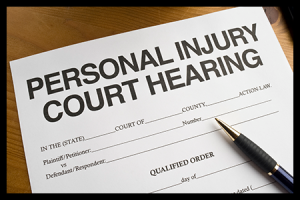 If you have been injured and believe someone else was at fault, contact us immediately to discuss your case. The law usually limits the time you have to file your case, so the time to act is now. Because we understand that the cost of representation may be of great concern to you, our fee is based on contingency arrangements. This means you do not pay us attorney fee unless you win. Contact us immediately at (770) 962-7201, to discuss your case. Your initial consultation is free.